If you are one of the many people who have shied away from visiting the dentist because of time or money issues, you are definitely not alone. The huge cost of dental care can create financial hardships and take up countless sick days, but there are several ways to reduce your dental costs. Here are 4 tips that will help you save a lot of time and money on your next dental visit. 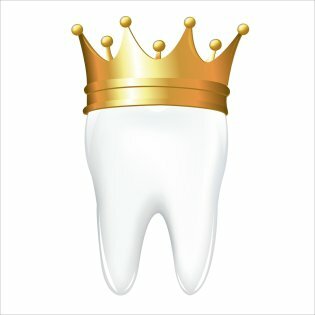 First things first, not getting a cavity is always cheaper than the lowest priced filling. Regular brushing and flossing sounds like a no-brainer, but your family dentist will have a variety of tips and tricks to help you maximize your daily routine. West County Dental even uses intra-oral cameras to show you where to focus on brushing, thus helping you avoid expensive dental procedures and special trips to the dentist down the line. Routine checkups are also a key ingredient to lower dental care costs. An experienced family dentist can remove harmful plaque and tartar build-up, administer fluoride treatments and dental sealants to protect teeth between cleanings, and treat oral diseases at the earliest possible stage. 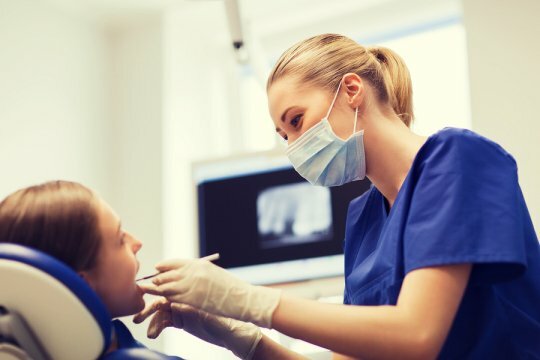 High-tech dentists also streamline procedures by using 3D imaging for faster, more accurate diagnostics, which reduces patient costs and recovery times. One of the best ways to ensure faster and less painful dental procedures is to select a dental care facility that utilizes laser dentistry. This technology accurately pinpoints certain areas that need work, removes tooth decay, prevents gum disease from progressing, and sterilizes areas for fillings all while leaving the surrounding tissue intact. Laser dentistry reduces the need for anesthesia and causes less bleeding and swelling, allowing for better results with less pain, time commitments, and out-of-pockets costs. When it comes to crowns or dental implants, many dental offices have to order the materials from a lab, wait for the product to be produced, and then wait for it to be shipped back to them. Since this lengthy process is not cost-efficient, many practices like West County Dental have invested in 3D printers to print their own materials. This technology drastically cuts down on turnaround times and makes high-quality, same day crowns and dental implants possible. 3D printing can also be done for a fraction of the price of traditional methods, which is reflected in lower dental fees. Faster, more affordable dental care is out there if you know where to look, especially when your search leads you to West County Dental. Our highly trained dental team uses the latest advances in technology to streamline dental procedures and eliminate extraneous costs, passing the savings in both time and money directly on to you. 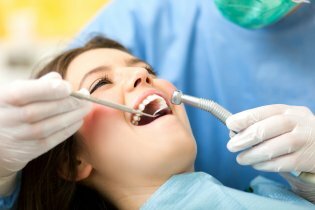 Oral surgery can be used to resolve a wide range of dental health problems, from impacted canines to oral cancer. Before your procedure, your St. Louis oral surgeon will review the details of the procedure with you and help you prepare for surgery and recovery. As your oral surgery date approaches, here is an overview of what you can expect. Depending on your type of surgery, your dentist may ask you to have some medical testing done to ensure you don’t have any health problems that could interfere with healing. He or she may also work with your primary care doctor to alter your medication schedule for the days leading up to surgery. On the night before your procedure, be sure to follow your dentist’s prep instructions very closely, especially in terms of fasting. If you make a mistake with your preparation instructions, tell your dentist right away, as your procedure may need to be rescheduled. 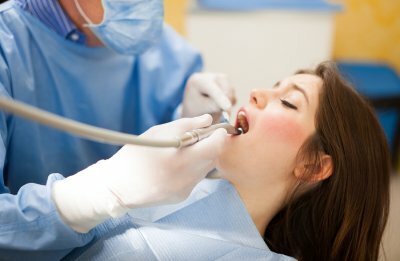 Your dentist will start by giving you anesthesia. You may receive a local anesthetic with a sedative or general anesthesia, depending on the nature of your procedure. Oral surgery lengths vary depending on the case. After recovering from your anesthesia, you will need someone to drive you home. After your surgery, take your pain medications and antibiotics as prescribed by your dentist. You will need to stick to a soft food diet for a few days. Talk to your dentist about when it is safe to incorporate hard or sticky foods back into your eating plan. It’s essential that you avoid smoking while recovering, as the sucking motion can damage the surgical site. Your dentist will tell you when you can resume your normal activities. Expect full healing to take two weeks to a month, depending on your type of surgery. 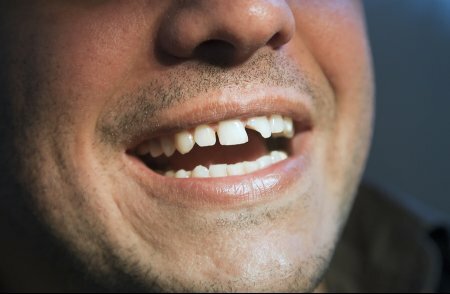 If you have a missing tooth or are about to lose a tooth with a damaged root, then single tooth replacement could be an ideal solution for you. This method of replacement, which is completed with same day dental implants , provides a natural result that won’t compromise the health of any of your remaining teeth. Your oral surgeon in St. Louis can help you decide if single tooth replacement is the right option for you. Although there are alternatives to same day dental implants, none offer the same great benefit of single tooth replacement. 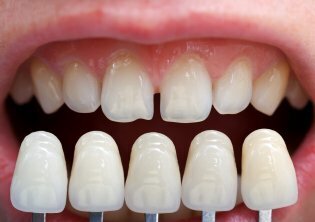 With dental implants, your replacement tooth will look and act like your natural teeth. It won’t require any special care and won’t rely on neighboring teeth for support. Your dentist can match your dental implant precisely to the color and shape of your natural teeth, so no one will know you have an implant but you. In addition to its cosmetic appeal, single tooth replacement with a dental implant is also an investment in your long-term dental health.